We are staffed with a team of professionals who hold immense knowledge in this domain. They are capable enough to rendering standard as well as tailored packaging requirements of the clients. Being a reliable cream biscuit packing machine manufacturer in Mumbai, we are backed by a well-structured and capacious storage unit wherein we store the entire lot in a secured manner. Moreover, we ensure complete security of the stored items. The machines that we make are checked on several parameters by our experienced quality inspectors and they make sure that no defective product gets supplied from our end. 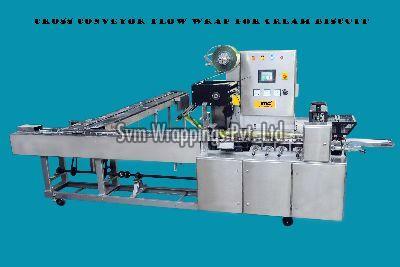 So, if you are looking for a reliable cream biscuit packing machine exporter then contact us.